The aftermarket EcoAqua EFF-6027A is used in French Door and Side-by-Side refrigerators by Samsung and others. It is designed to replace the OEM part DA29-00019A and DA29-00020B. 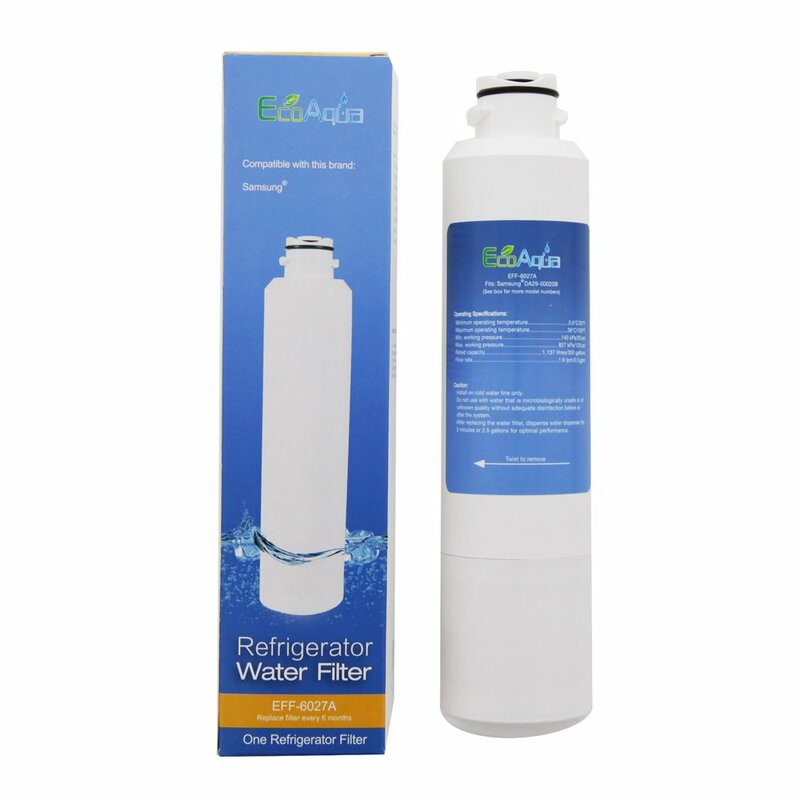 The EFF-6027A filter creates better tasting water for drinking and making beverages as well as clean, clearer, healthy ice. Features: High quality - inexpensive alternative to factory original filter Easy installation and operation Helps reduce chlorine taste and odor Helps reduce contaminants found in tap water and improves its quality.